♦ Charts — All Published Charts, Volume, and Type. ♦ IFP Production Plan — Current IFPs (Instrument Flight Procedures) under Development or Amendments with Tentative Publication Date and Status. 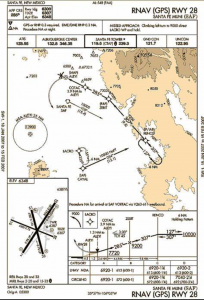 ♦ IFP Coordination — All coordinated developed/amended procedure forms forwarded to Flight Check or Charting for publication. ♦ IFP Documents - Navigation Database Review (NDBR) — Repository and Source Documents used for Data Validation of Coded IFPs. A Metroplex is a geographic area covering several airports, serving major metropolitan areas and a diversity of aviation stakeholders such as NAS users, FAA, and other lines of business and airport operators. The ILS Procedures and Components List is a full list of ILS procedures and related components within the NAS. This list includes all Category I, II, III approaches as well as Special Authorization Category I and II. The sortable list can be downloaded and is updated with the normal instrument procedure charting cycle. The information contained in the ILS Procedures and Components List is extracted from Aeronautical Information Services databases. Also included announcements and reports related to new Instrument Approach Procedure (IAP) development in the National Airspace System (NAS).